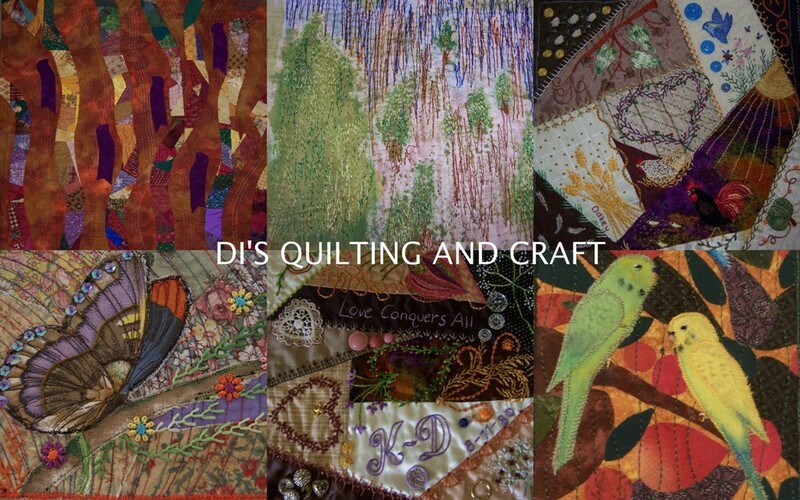 Dinky Di Quilting & Craft: Evolution of "The Brown Thang"
Remember "The Brown Thang"? It is now a quilt top and is going to be an 80th birthday present for my Dad. I am going to call it "Target 80 and Beyond" because the circles look like bull's eye targets. 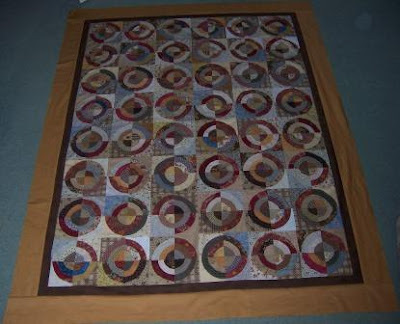 I think my Dad will like it, although he finds it difficult to understand the whole concept of quilting. "Why do you piddle around with this stuff?" is just one comment he has made in the past. The fact that it has been made especially for him and made with love, I think, will appeal to him. Instead of quilting it, I am going to tie it in brown (what else) crochet or perle cotton. Dad, always the ultra conservative dresser, has always been fond of brown actually. Your quilt top is beautiful Di - I am sure your Dad will love it - don't they say the worst things to their offspring?